So, where is the art? Ah, summertime. One would think that with all the time in the world, we’d get some mad art done. But, alas, silliness has taken hold. We have amazing art in hand from the uber-talented Captain Chants (AKA Chantal El-Bikai), but tonight was not the night. Chantal, I beg your indulgence. I think this video says it all about their state of mind this evening. 🙂 I promise we’re drawing tomorrow! 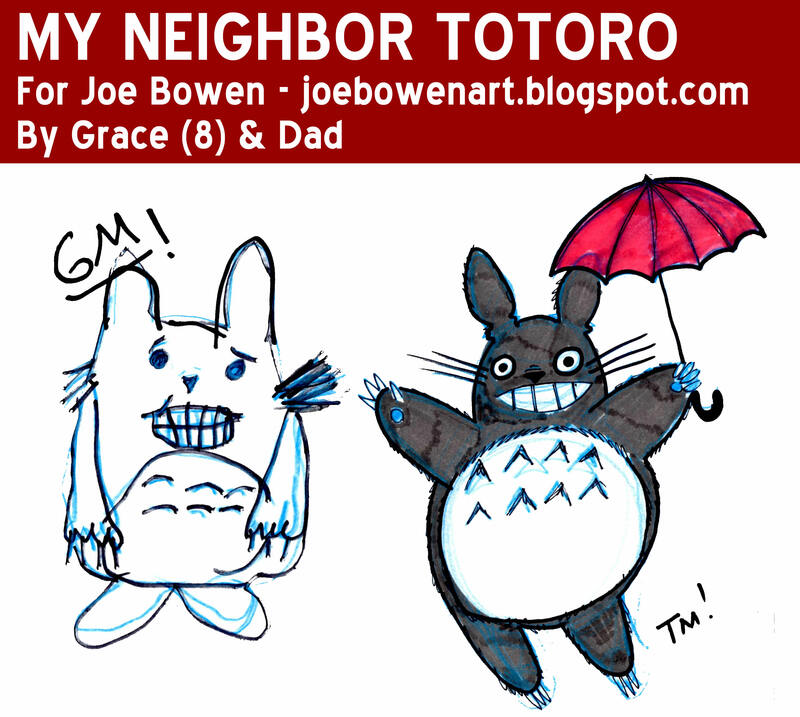 Grace and I were delighted to receive the incredible drawing of Totoro from Hayao Miyazaki’s film “My Neighbod Totoro.” It’s a film we’ve never seen, but after drawing Totoro, Grace wants to. And, I’m thrilled. We love following daily and weekly sketchblogs and have made many friends at incredible blogs like Cornered, ComicTWART and Bristolwhip. So, we were excited to surf our way over to a new sketchblog with some awesome new talent — Spitballin’ Comics. Check them out now! We were doubly excited when Michael Walsh asked us to participate in this week’s theme … Jack Kirby’s supreme creation – MODOK! 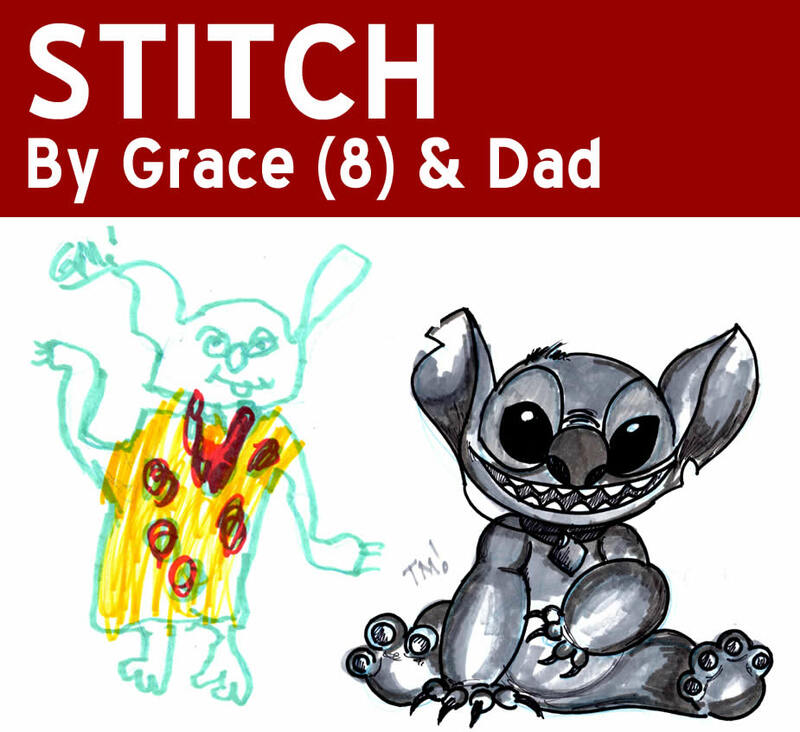 Grace had a lot of fun with this one … and I think it shows in her work. Great expression. Good pencils and tight inks. I was still having fun with my classic funnies/comic book character mash-ups and decided to blend everyone’s favorite blockhead, Charlie Brown, with everyone’s favorite flying head. 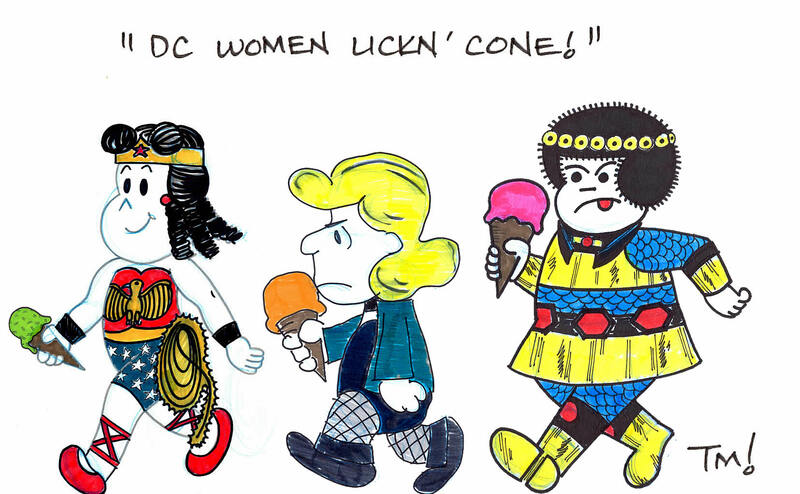 Earlier this week, I was joking with Joel Carroll on Twitter about using Sluggo from “Nancy” to create “Lil’ O.M.A.C.” After that, I got a yen to draw famous DC heroines as classic comics characters. Little Lulu as Wonder Woman, Lucy Van Pelt (from Peanuts) as Black Canary (don’t forget BC’s blonde hair is a wig, too) and Nancy as Big Barda. 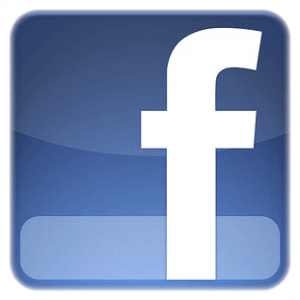 And, I dedicate it to my friends, Kelly, Maddy and Sue at 3 Chicks Review Comics. It was a lot of fun aping the styles of comics legends John Stanley, Charles Schultz and Ernie Bushmiller. I’m going to wax a little “comic book political” for a moment, but when you look at gorgeous images like the one to the left here, it’s mind-boggling to think about the fact that DC Comics has trouble getting Wonder Woman right. When I saw it up on Comics Alliance’s “Best Art Ever” last week, I had to reach out the artist of this work … Irish illustrator, Philip Murphy. Check out his DeviantArt page here. 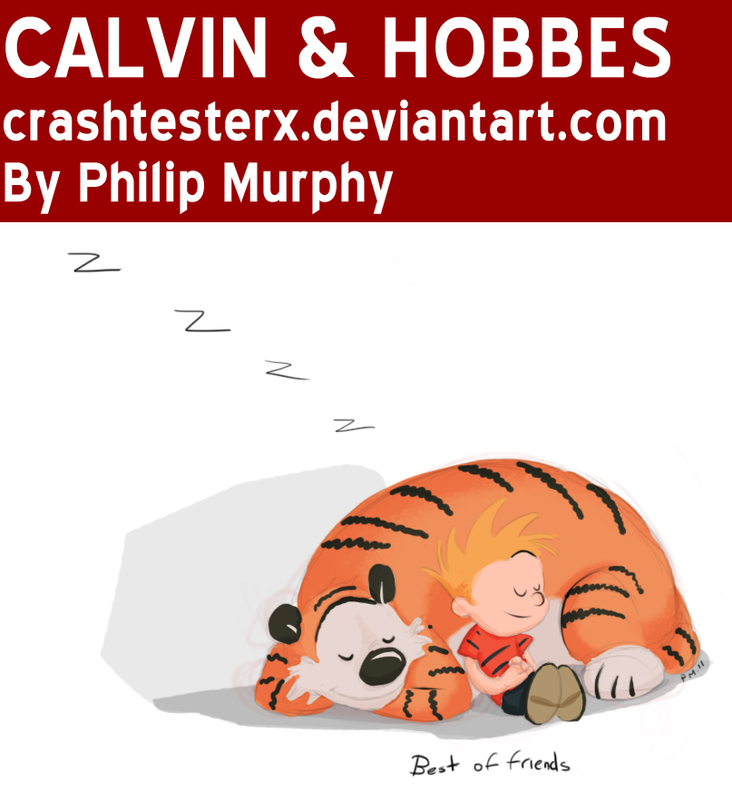 And, to my great pleasure, he turned out to be just a nice a guy as he is an artist, suggesting we draw a common inspiration – Calvin & Hobbes. He killed it! And, to make it more fun, my dad, who introduced me to C & H drew with us! 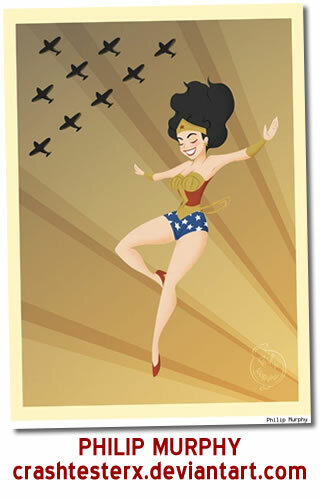 Philip passed these words of wisdom on to the girls and me: “Don’t get bogged down in a single art style. Try different ones. I see a lot of people drawing in an anime style now which is great. I love anime and have nothing against it, they can do things in that style that others can’t but, there’s a lot of amazing other styles out there. Think of it like ice cream. If day in day out all you eat was strawberry flavour, things would get pretty monotonous. So why not change it up with some vanilla? 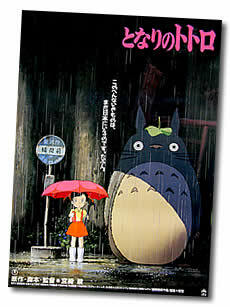 Don’t be afraid to try new styles you might end up liking or even making a new one.” Thanks, mate! We had the very great fortune of finding the work of Loston Wallace over at KirbyVision, where some of his amazing, Kirby inspired work was recently featured. Loston has had an extremely varied career – illustrating everything from Flash Gordon and DC Licensed Products (like Krypto!) to Elvira and Lorna, Relic Wrangler. What is really great for us (and any artist) is Loston’s ability to provide clear instruction on illustration. Case in point, his “How To’s” on drawing the Superman Logo or The Thing from the Fantastic Four. Here are some great words of encouragement from Loston: Drawing should be fun, and that’s the most important thing to keep in mind when you’re putting pencil to paper. 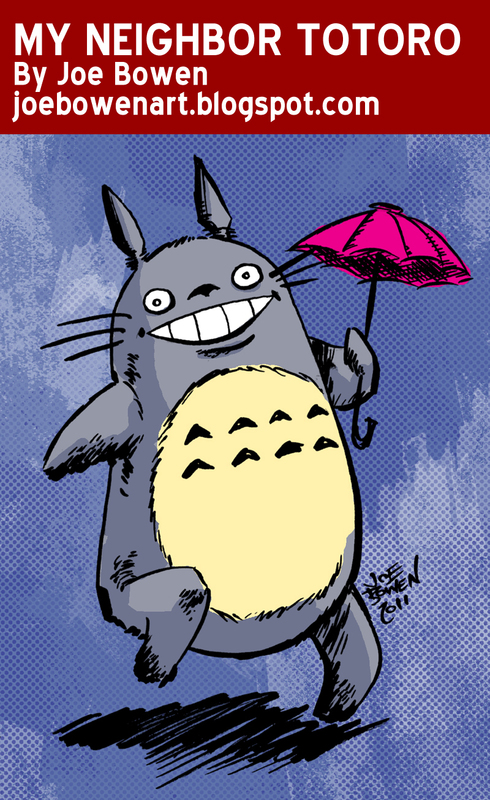 If you’re having fun when you draw, you’re doing it right! Drawing is also about learning on the job. 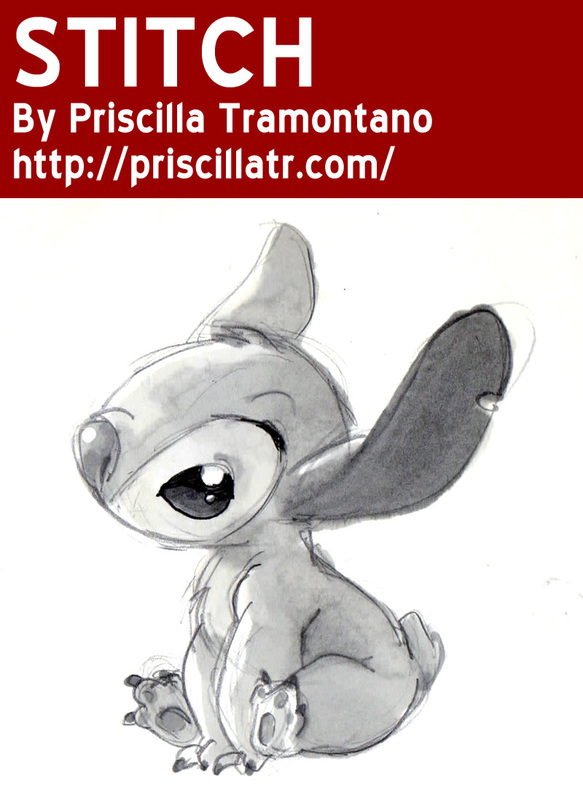 Every time you draw, you get just a little better at it. That, I can guarantee. Click here to see more of Loston’s Work. 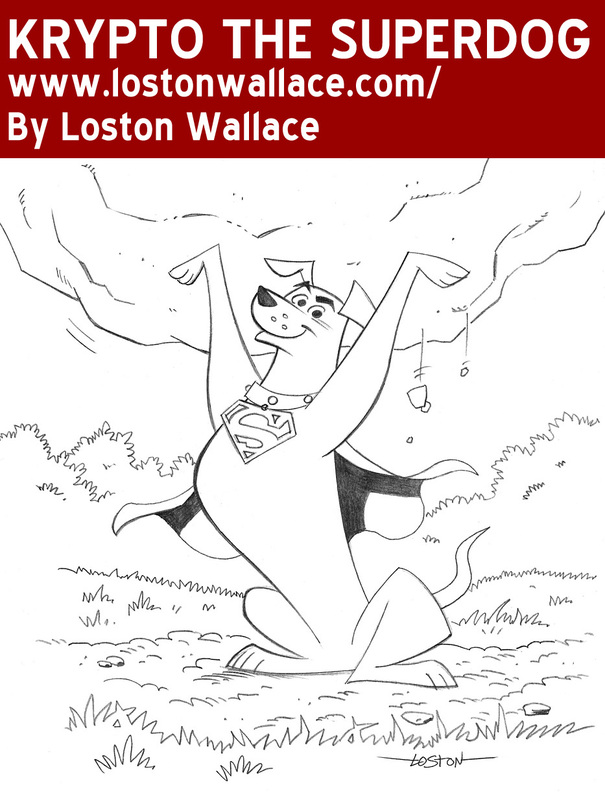 And, look below our work for tips on drawing Superman’s faithful hound, Krypto. Krypto’s snout is straight on top, and round on the bottom to form his mouth. His actual nose is kind of shaped like a slice of watermelon, and is a very similar shape to his snout. It’s straight on top, and round on the bottom like a circle. Our Super Dog pal has three small freckles on his snout, stack triangularly with one on top and two on the bottom. Krypto’s lower lip only extends about half the distance of his nose just under his mouth. Krypto’s eyes are circular in shape, and his pupils are large dots. Usually, two little marks under the eye farthest from his snout are used to indicate his cheek when he smiles. The Dog of Steel has thick, black eye brows that kind of look like check marks. In a 3/4ths view, the outer most eyebrow tends to be more of a chevron shape. The top of Krypto’s head is only slightly rounded. When the top of his head meets his snout, the outline shape of his head might look a little like a playground slide. Krypto has two ears of course, and both should be visible in a drawing. The ear that is farthest from Krypto’s snout tends to look like an upside down triangle with slightly rounded edges. The other ear closest to the snout is much different in its shape. It more closely resembles the number 7, and even looks similar in shape to one of Krypto’s feet! Krypto has a long neck that is more narrow near the head, and wider as it connects with his torso. Our dog’s body is kind of interesting. The Super Dog’s chest is round and larger than his belly. He has almost a whistle like shape to his torso. 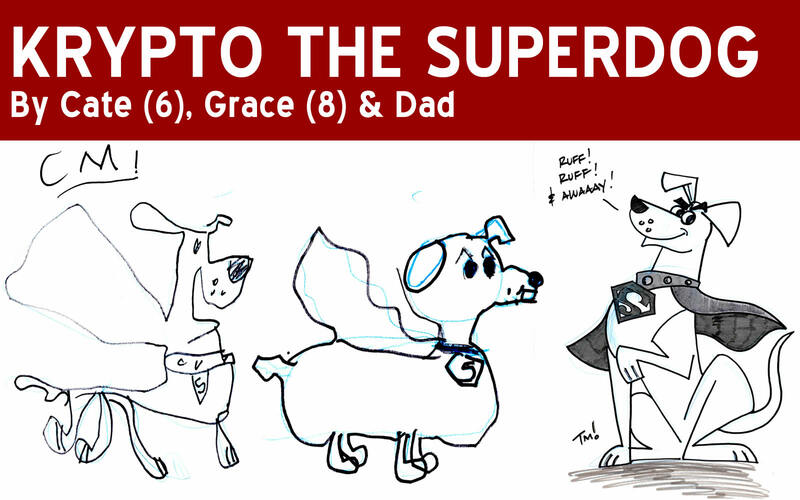 When drawing Krypto’s arms (front legs) remember that they taper sort of like a baseball bat. They are wider at the top, and narrow at the ankles. Krypto’s feet look similar to the head of a golf club. The bottoms of his feet are straight and flat, with the heel of his feet coming to a point. The area near the toes rounds upward from the bottom and curves back into his ankle. His back feet are longer than his front paws, and are flatter on top.